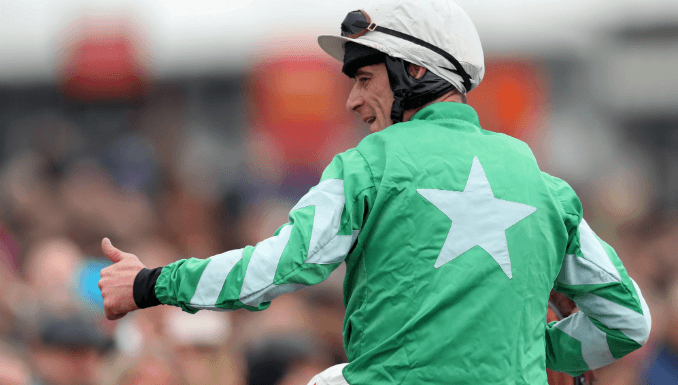 Cheltenham Gold Cup favourite Presenting Percy is among the stars at the head of the betting for Sunday's John Durkan Memorial Chase, which could be his first run since last March. A host of Willie Mullins-trained stars, including the Champion Chase second Min and Punchestown Gold Cup winner Bellshill, could challenge the RSA Chase winner, but it is fellow Cheltenham Festival novice chase winner Shattered Love that appeals most in the odds. Presenting Percy's (3/1 Paddy Power) entry is the most notable feature of this Grade 1 chase, but it might pay to avoid Pat Kelly’s charge in the John Durkan betting, with his best form over both hurdles and fences coming in staying contests. The John Durkan is run over only 2m4f and similar comments apply to Bellshill (3/1 Paddy Power) who won twice in races in excess of 3m last season, and finished just a length behind the winner in the Irish Grand National over 3m5f in April. The good ground forecast will be unlikely to suit the staying types over this distance and it will likely take a genuinely top class performance for a horse of that nature to run out victorious. Min (11/4 Betfair) could be the bet to have amongst the three favourites then, the lightly-raced seven-year-old achieving his only Grade 1 win over 2m1f. He's only run twice over fences over further than that, winning at Gowran Park and finishing a neck second to Politologue at Aintree in the Grade 1 Melling Chase. Two Gigginstown House Stud-owned contenders look to be the each-way value in the John Durkan Chase betting. Shattered Love (5/1 Paddy Power) won a brace of Grade 1 novice chases last season, including the JLT Novices' Chase at the Cheltenham Festival. Her first Grade 1 win came over 3m at Leopardstown last December, but she proved she is just as, if not more, effective over shorter trips when impressively taking that soft ground 2m4f chase in March. She was beaten just a length by Al Boum Photo (5/1 Betfair) in a Grade 1 novice chase at Fairyhouse at the start of April and is clearly a versatile sort. The daughter of Yeats ran well when second over 2m3f at Down Royal (good-to-yielding) in Grade 2 company just over a month ago, and looks capable of taking a step forward here. Disko (16/1 Betfair) has won over in excess of 3m in the past, most notably when winning at Punchestown in a Grade 1 novice chase in April last year, but he has also shown strong form over shorter distances. As a novice he beat subsequent Irish Grand National winner Our Duke over an extended 2m5f on soft ground at Leopardstown, that seven-year-old having already won a Grade 1 at Leopardstown's Christmas festival before their encounter. Trained by Noel Meade, Disko has a good record fresh having won on his racecourse debut, been second on his hurdling debut, won his chasing debut and landed a Grade 2 at Down Royal first time out last season. That form makes it less of a worry that Disko has not raced since that Down Royal win in November last year, the challenge is that this will be his first outing in open Graded company, having only ever run against novices over fences and hurdles. He's very versatile in terms of ground though, and his official rating of 164 places him only 1lb below Presenting Percy and upwards of 5lb better than the remainder of last season's novices that feature in the entries. He looks capable of putting in a bold show upon his return.